Phoenix, AZ - The longtime sheriff of metropolitan Phoenix fired up the crowd at the Republican National Convention in Cleveland on Thursday by reminding them of Donald Trump’s pledge to build a wall along the U.S.-Mexico border. Arpaio went even further, making the unsubstantiated claim that terrorists are crossing the border. 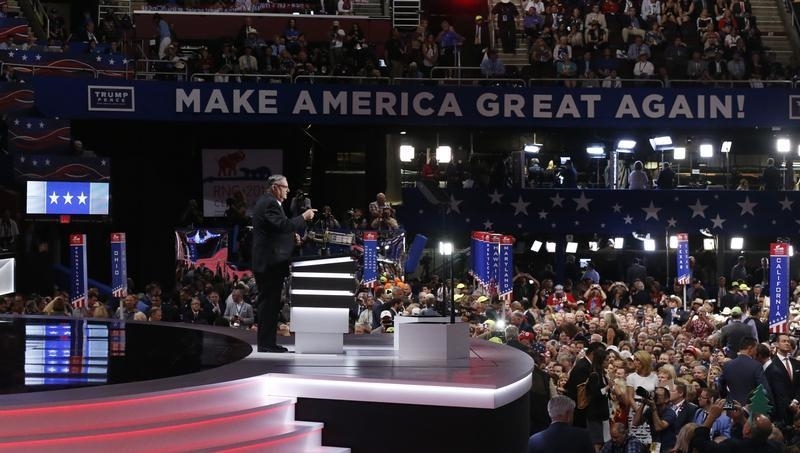 Arpaio was a late addition to the speaker lineup on the convention’s final night, where Trump was to give a speech formally accepting the Republican Party’s nomination for president. The six-term sheriff has been an enthusiastic Trump supporter for the past year and has regularly campaigned for the New York businessman. Arpaio’s five-minute speech came a day after a federal judge in Phoenix presiding over a racial profiling case handed down the first round of punishments for the lawman’s decision to prolong his signature immigration patrols months after being told to stop. Arpaio has been found in civil contempt in the case, and the judge ordered an overhaul of internal affairs investigations at his department, with additional sanctions expected. On Friday, the 84-year-old sheriff is set to appear before U.S. District Judge Murray Snow for a hearing to examine whether he will recommend a criminal contempt-of-court case against Arpaio for ignoring his orders in the racial profiling case. Arpaio said in an interview before the speech that the court case hasn’t hurt his standing with Trump. Our President, Mr. Obama, is called the "Deporter-in-Chief" because he (and his regime) deported almost 3 million people. More than any other administration. We actually have a net negative illegal immigration now. Foxnews and the main-stream-media don't report that.